The tape should be kept in the shady and cool to avoid high temperature, high humidity or direct sunshine. It should be kept with temperature -20℃～40℃, and ≤65%RH. In this case, it can be used for 2 years months since the ex-factory date. to provide excellent conductivity and shielding effectiveness. 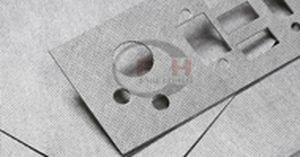 Its main application is to cover conductive form and it is widely used in various electronic products. Above data are the average value after test many times. Users are solely responsible for making preliminary tests to determine the suitability of products for their intended use.